It's that time again! Time to pick out the books I'm going to read next month. I am happy to include a non-traditional book choice this month. I have quite an impressive pen collection starting and I'm looking forward to actually using it to its full potential! Here are the books I chose this month. Station Eleven by Emily St. John Mandel takes place in the future after a flu pandemic alters the state of the world. Kirsten Raymonde is part of a theater and musician troupe calling themselves The Traveling Symphony, determined to keep arts and humanity alive in the apocalyptic state that the human population is in. I'm excited to read this novel because the majority of "post-disaster" novels I have read have focused on the technical and scientific side of surviving an apocalypse. This book follows a group of people dedicated to the arts, determined to save it from the oblivion of being forgotten. Coloring books aren't just for kids- they're a great stress reliever for adults too! The Mindfulness Coloring Book by Emma Farrarons has intricate patterns that are fun to color and allows you to take a minute to relax through color therapy. I'm excited about this book because I love to Zentangle, but all of my designs start to look the same, and I'm super critical of myself when I mess up - the exact opposite of what you're supposed to feel when Zentangle-ing. With a coloring book, all you have to do is color inside the lines! In Ready Player One by Ernest Cline, it is 2044, and the only thing interesting in teenager Wade Watts' life is the virtual reality utopia called OASIS. In OASIS, there is a puzzle that promises power and fortune to whoever can complete it, but it's a dangerous contest and other players will do anything to win. I have been looking at this book for a little while. It reminds me of the premise of TRON, but with a more complicated game. I am intrigued. 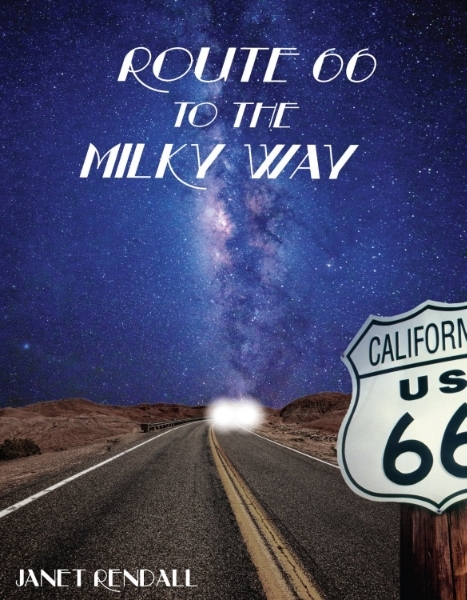 In Route 66 to the Milky Way by Janet Rendall, Frank Ryder, an FBI agent desperate to prove himself after the Roswell blunder, crosses paths with two aliens that crashed to earth during the Pearl Harbor bombings. With only "66" as coordinates to get home, they enlist Frank Ryder to help them find their way home. My mom recommended this book to me when I called her on Mother's Day. It turns out my grandma is friends with the author and recommended it to her! So I'm grateful for the opportunity to help spread the word about an emerging author. Are there any books you're looking forward to reading in June?